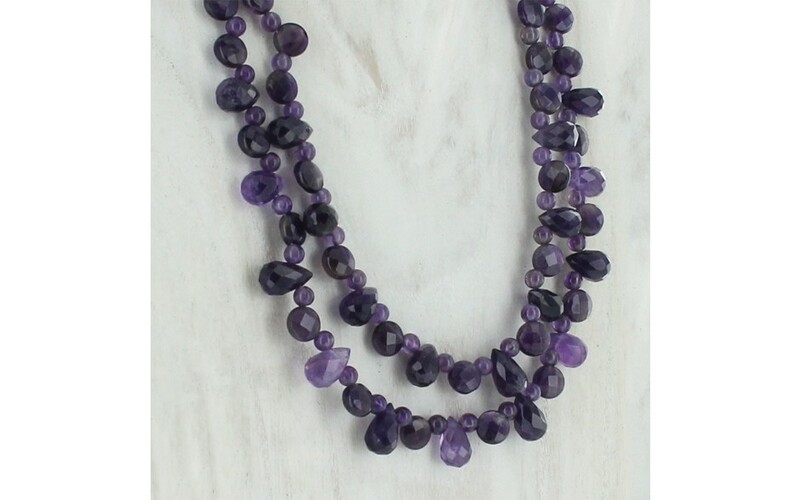 Two strands of faceted amethyst top drill and smooth round beads are nested to perfection. 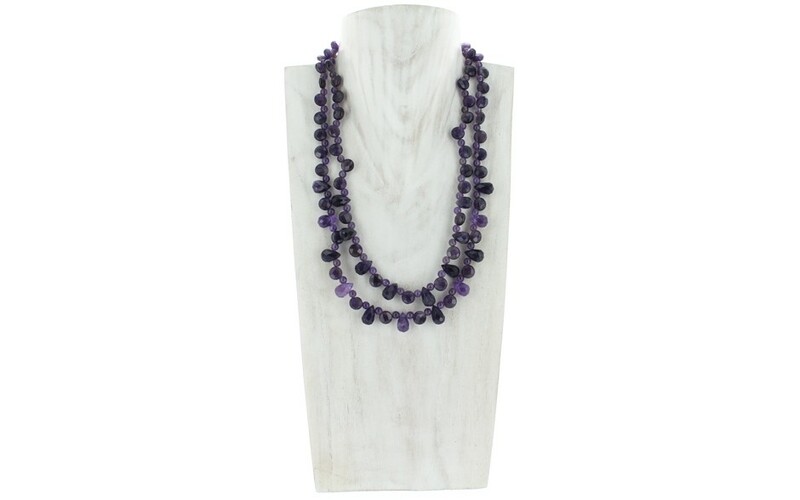 The faceted round and tear drop shapes make this necklace a little fancy and a little fun. Perfect to layer with turquoise or wear as a stand alone. 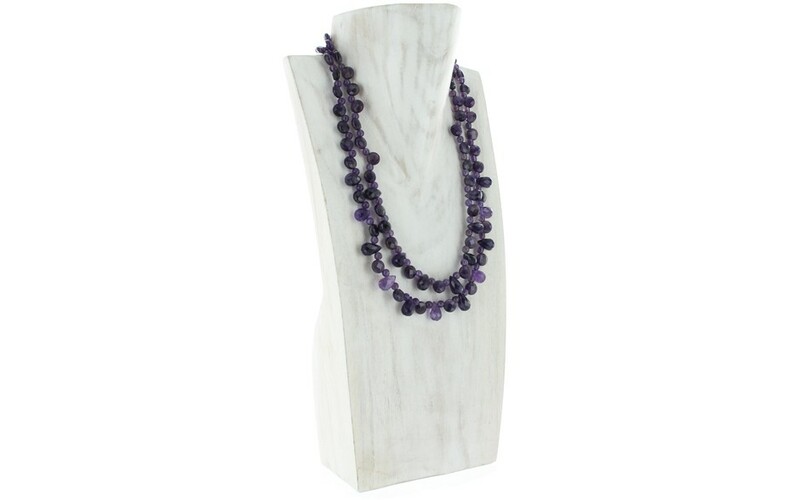 Purple hued amethyst is a great new addition to any collection. 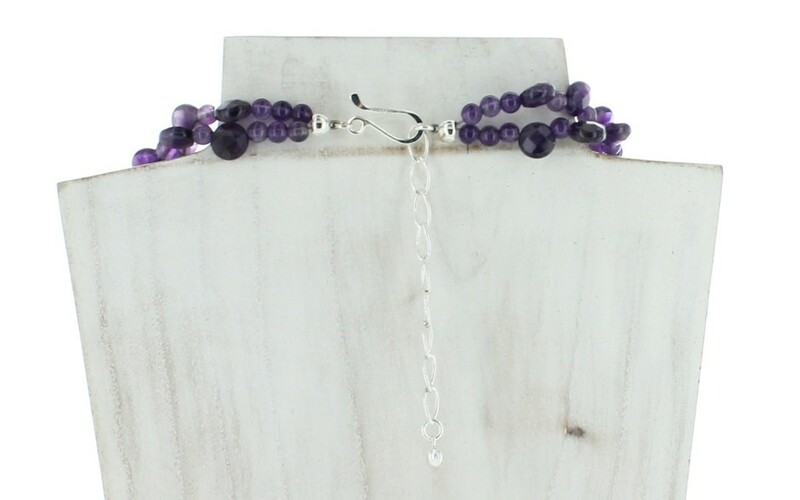 The larger tear drop beads measures 11mm x 8mm and the smaller rounds measure 5mm round.